Signeo is a new material for the advertising industry from Röchling Engineering Plastics which really sets a mark. 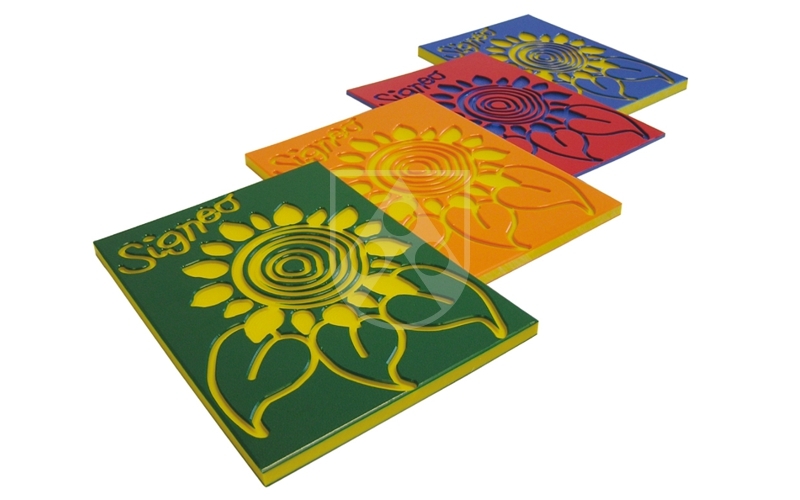 The multi-purposed Signeo-sheets can be used for creating wordings, symbols or other graphic elements in 3D. The single and two-coloured sheets offer a highly creative potential for a great variety of design ideas.